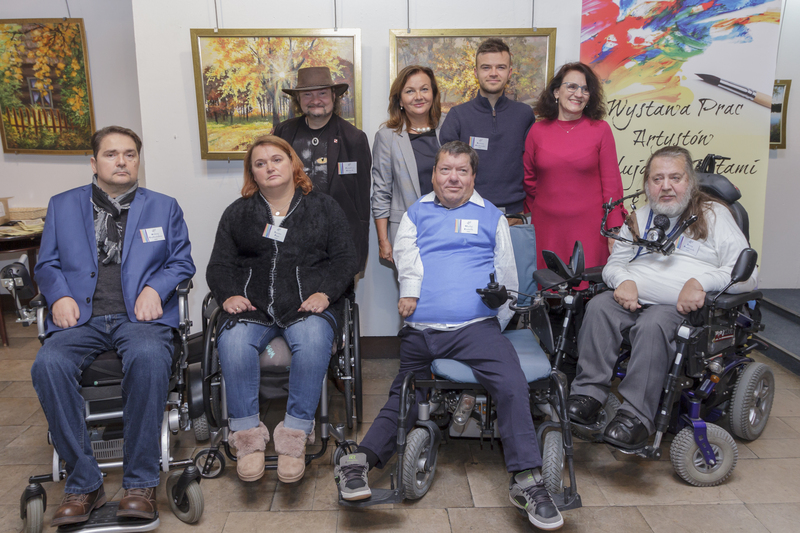 The publishing house of Poland exhibited works of its artists on the occasion of a joint exhibition in a cultural center in Rzeszów. The exhibition showed a great variety of styles and included 40 works of the mouth and foot painter of Poland. The exhibition opened on 19 November 2018 and lasted until 30 November 2018. A painting demonstration was also held on the occasion of the vernissage and admired with great interest by the numerous guests. The following artists took part in the vernissage: Bartosz Ostałowski, Jerzy Omelczuk, Stanisław Kmiecik, Walery Siejtbatałow, Teresa Frys and Mikołaj Kastelik.